Queues are used to setup waiting lines for callers. Also known as FIFO Queues. 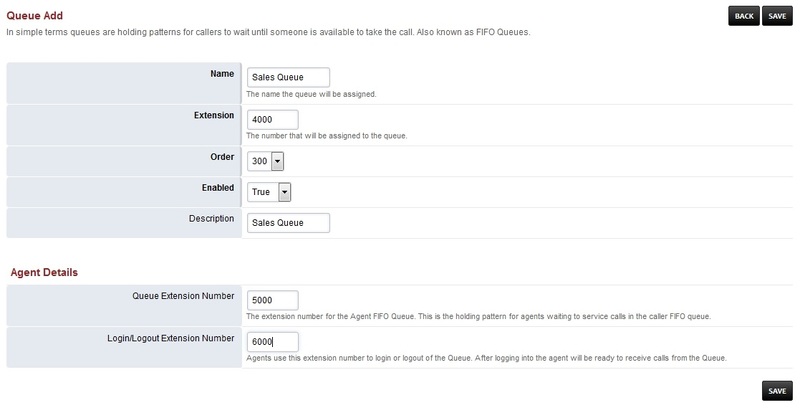 The Queues feature is rarely used for call center type work. When needed, Call Center is usually used instead.